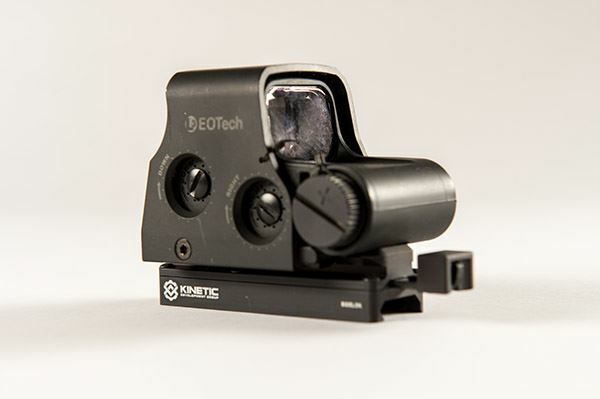 With almost limitless applications, the new DeltaPoint Pro™ Reflex Sight is in its element on a shotgun, rifle or pistol, when plinking or competitive shooting, and is an ideal home defense optic. Intuitive operation with precision red dot ease and accuracy keeps even novice shooters right on the mark. 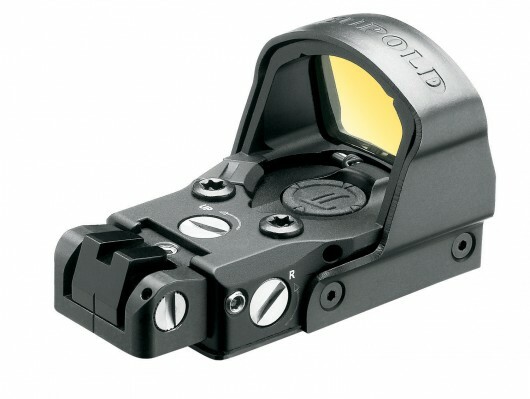 From handguns to shotguns to AR variants, the versatile Leupold DeltaPoint Pro is never out of its comfort zone. 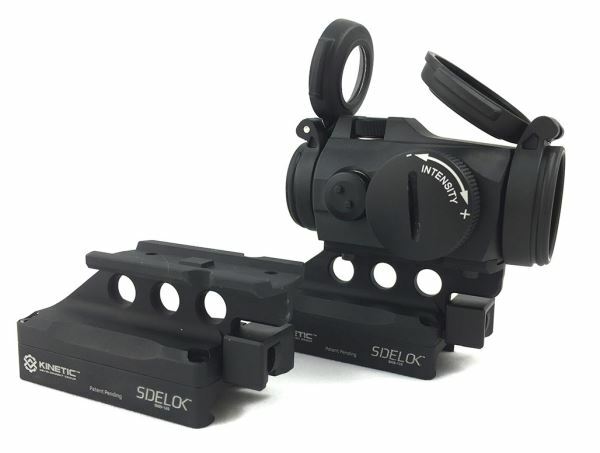 The wider shape of the lens housing, along with an exclusive aspheric lens, increases the usable field of view by up to 56% depending on your firearm while eliminating image fall-off toward the lens edges. 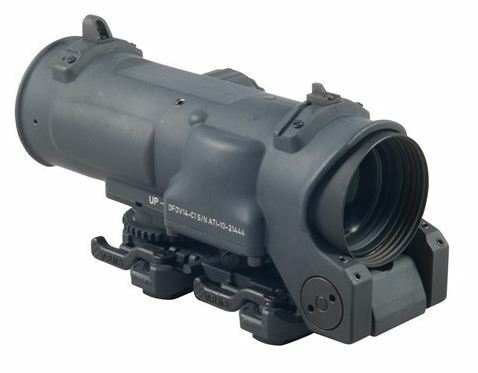 The new version of the sight is protected by a replaceable impact resistant spring steel hood and is finished in a smoother, mil-spec black anodising. Leupold’s proprietary motion sensor detects even the slightest movement, and instantly activates the illumination. Auto-brightness sensor continuously samples lighting conditions, establishing optimal reticle intensity, but can be manually overidden. The auto-off feature shuts down the reticle after a period of inactivity, and when the cover is placed over the DeltaPoint, it automatically shuts off. This version does away with the adjustment lock screws of the old Delta Point model, being guaranteed not to lose zero. The Delta Piont Pro is completely fog proof and waterproof to 33 feet depth. The scratch resistant “DiamondCoat” lens covering means superior abrasion resistance. Magnesium housing is lightweight and tough. 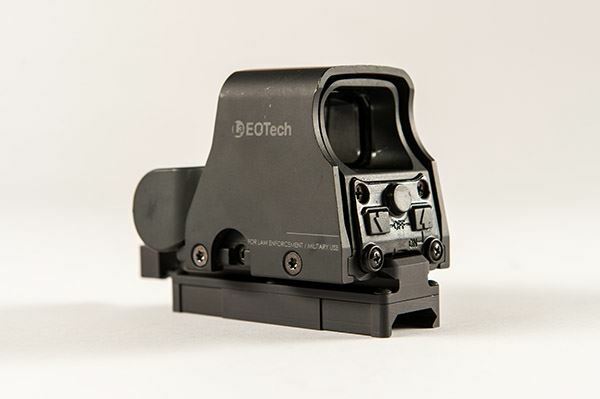 The DeltaPoint comes with mounting brackets for a large selection of the most popular handguns or a cross-slot mount for Picatinny rails/bases, a battery, and protective cover. In the unlikely event that your battery runs out, replacement does not require a tool. 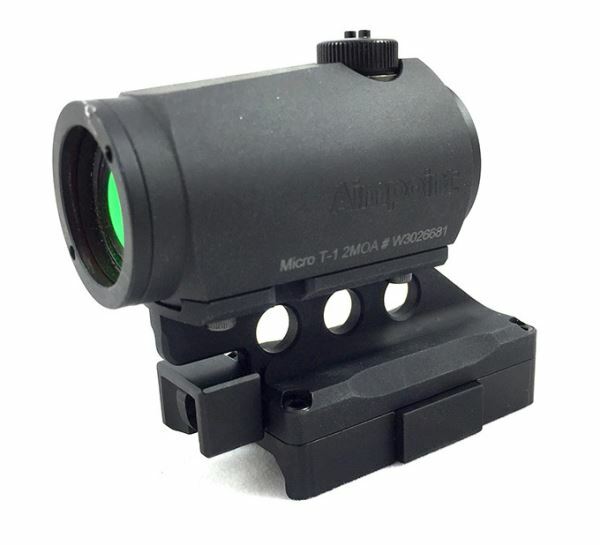 Available with a 7.5 MOA Delta or a 2.5 MOA Dot Reticle (the old version was 3.5 MoA). 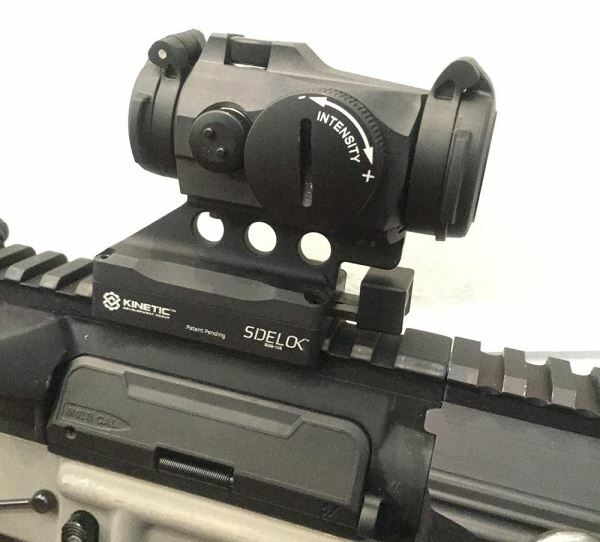 The sight can be fitted with an optional square U notch pistol back sight and both a riser for AR co-witness and “All Pistol” and Cross-slot mounts are available for the Leupold DeltaPoint Pro. A S&W CORE adapter plate is in the pipeline. Elevation Adjustment Range – 60 MOA in 1 MoA increments. Windage Adjustment Range – 60 MOA in 1 MoA increments. DeltaPoint All Mounts kit, comes with a mounting system compatible with most common handguns including: Beretta 92, Beretta 90-TWO, Beretta 96, Taurus PT99, Glock 17,22,23, 26 etc, HK-P2000, SIG P226, Smith & Wesson Revolvers, Smith & Wesson Clasic, Smith & Wesson M&P, 1911 Standard (.330 Colt) CZ 75, Springfield XD, Kimber Adjustable, and Kimber Fixed. 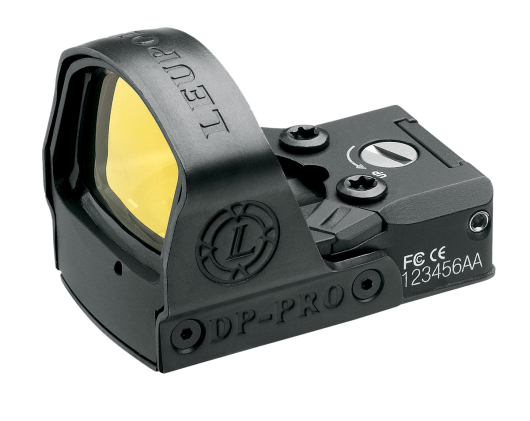 Purchase a Leupold DeltaPoint reflex Sight at Brownells, a name you can trust. Every component, feature and performance characteristic of this riflescope is so well thought out and executed, it’s almost scary. 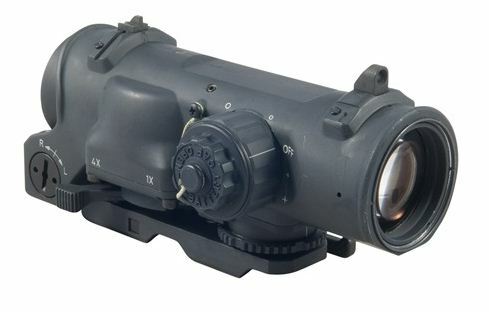 Incredibly versatile and perfect for the AR platform, the Vortex Razor HD Gen II 1-6×24 is the ideal optical solution for short to medium-range tactical applications requiring the pinnacle of optical performance. Optically, the Razor HD Gen II 1-6×24 delivers the highest level of clarity, resolution, color accuracy, light transmission and edge to edge sharpness obtainable. The ultra-forgiving eye box with generous eye relief generates a heads-up display-like sight picture for fast target acquisition and optimal dual-eye visual monitoring of the surrounding environment. Ultra sleek and built like a tank on a 30 mm aircraft-grade aluminum tube, the Razor HD Gen II 1-6×24 features an ultra-low profile, capped windage and elevation turrets for streamlined performance. Zero-resettable turrets offer 50 MOA of adjustment in a single turn—ensuring ample travel. Simple, intuitive and fast, the JM-1 BDC reticle is exclusive to Vortex. Designed using input from world-renowned competitive shooter, instructor and gunsmith, Jerry Miculek, the JM-1 reticle facilitates rapid, accurate shooting at distances from 20 to 600 yards. A true daylight-bright illuminated center dot gives shooters red dot sight functionality and ultimate close-quarters versatility. Illumination is accessed and activated via the locking illumination dial positioned cleanly on the left side of the turret housing. Features 11 intensity levels with an off-position between each setting. Objective lens diameter – 24mm. Eye relief – 4.0 inches. Field of view – 115.2-20.5 feet/100yards. Adjustment graduation – ½ MOA. Travel per Rotation – 50 MOA. Max elevation adjustment – 110 MOA. Max windage adjustment – 110 MOA. 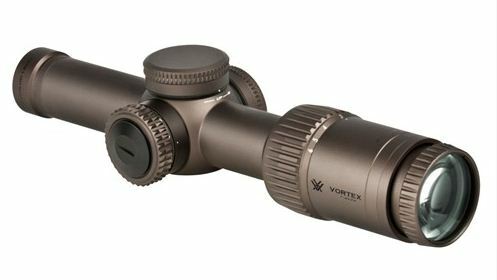 Purchase a Vortex Razor HD Gen II 1-6X24 Riflescope at Brownells, a name you can trust. 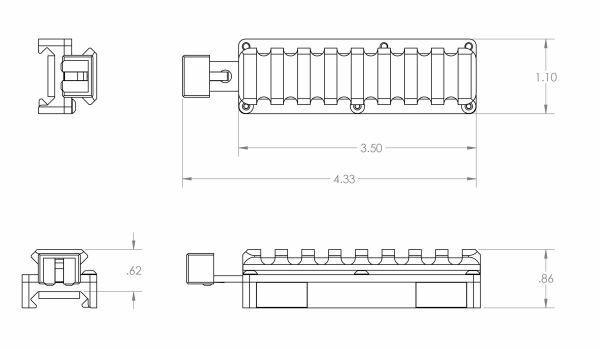 Most risers on the market require Allen/hex keys to fit making them a semi-permanent fixture on a rifle or carbine. 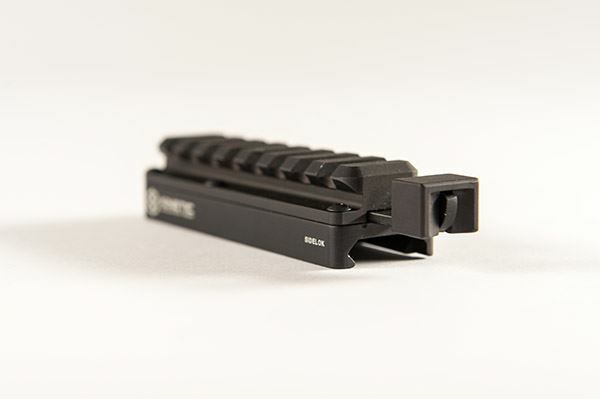 The alternative, a quick-detach riser, would normally entail an ugly lever system that might well catch on foliage or equipment and could snag the shooter’s knuckles painfully when working a side-mounted charging handle. KDG set about solving this problem and came up with a front mounted plunger arrangement SIDELOK riser that requires positive pressure on a recessed inner button to unlock before it is depressed making it almost impossible for the release to be actuated accidentally. The three separate locks hold the SIDELOK Picatinny Riser in place firmly ensuring repeat zero even on some poorly dimensioned rails. The riser can be removed in seconds, even when wearing gloves and presents a very slim unobstructed profile with nothing protruding from the side.